Publisher of the Midwest Diamond Report print publication. 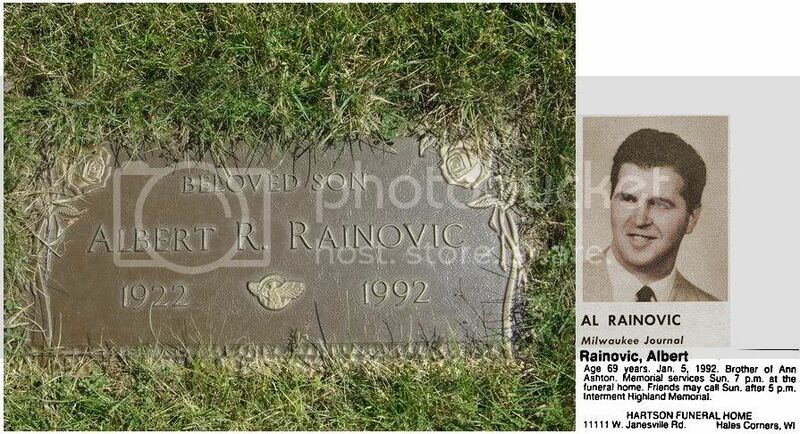 Al Rainovic was a famed sports artist in the "Milwaukee Journal" for nearly 20 years. In the 1950's and 1960's, readers of the Milwaukee paper would turn to the sports page every day to see what Rainovic would come up with next. Perhaps you remember Rainovic, but then again, probably not. Details of a person’s life seem to fade away over a period of time. Rainovic was a sports cartoonist for the Milwaukee Journal from 1952 to 1969. That was during an era, from the ‘30s through the ‘60s, when major newspapers all over America utilized that form of art on their sport pages. Rainovic was one of the best in the country, most assuredly the best ever for any Wisconsin newspaper. George Pollard, the Kenosha artist who did all that artwork for the Braves and Brewers, was an exceptional talent of national acclaim, but he was a portrait artist, not a cartoonist. It’s a different art form. Frank Marasco, the Milwaukee Sentinel sports cartoonist, was also fairly well known in this area, but he was nowhere near Rainovic in talent or in production. Al’s artistic creations appeared in the Journal sport pages an average of four times each week. Multiply that by 52 weeks out of the year and times 18 years and you’ll get roughly 3,600 sports cartoons, each unique, all entertaining and informative, like the few reproduced on these pages. As I reviewed Rainovic’s caricatures of Crandall, a couple of things came to mind. First, that the form of journalism and art of sports cartooning, like Margaret Mitchell’s Old South, is “Gone with the Wind.” Today, it is considered too time consuming to create such artwork, and correspondingly, too expensive. Editors also say it’s old fashioned. I don’t particularly agree with that. Secondly, poor Rainovic, who died in 1992, has been all but forgotten by his fans, his friends and the people he worked for. When Rainovic died on January 5, 1992, there was unbelievably nothing about his death in any local print or electronic media. He worked for the Journal for most of two decades, and during that time his features were among the most viewed in the paper, as good as any in the country. Yet the paper did not print any kind of story or obituary. It was difficult to understand. And since there was no family, there was no death notice, either. The reason why Rainovic left the Journal is also obscured by the mists of time. He was still fairly young, only 47. His works were popular with the readers; he was hard working and dependable, well liked, so it’s difficult to think that he was let go for cause. One guess is that since the art form of sports cartooning was dying out in newspapers everywhere, the Journal’s powers-that-be determined they no longer had any need for Rainovic’s talents (What’s the phrase about it being a cruel world?). In any case, after Rainovic left the paper, he worked as a freelance artist. His drawings appeared in many local publications and magazines, and in sports books such as on the cover of the Milwaukee Brewers Media Guide. He also started and operated his own little baseball magazine, which he called The Diamond Report. It was a fine, newsy publication, yet if you didn’t know the background, you’d never know Rainovic had anything to do with it. He wrote all the articles, yet did not put his byline on any of them. On all of his drawings in it, his signature was too small to be read without a magnifying glass. He didn’t even have his name on the masthead as publisher, editor or whatever. He put the magazine out six times a year, and as I recall, charged only about $5 for a subscription. I think the expense of printing and the postage cost him more than he made from the subscriptions, and there was no advertising. I met Rainovic for the first time in 1971, after he had left the Journal and was employed as the sports information director for the University of Wisconsin - Milwaukee. Al worked for Athletic Director Tom Rosandich, and one of his main duties was putting out the Athletic Department’s newspaper. I had known Tom and his wife, Sally, for many years. Sally was from my hometown, Hurley, and Tom had originated the Paavo Nurmi Marathon up there. He later started and operated the U.S. Sports Academy in Mobile, Alabama. One day Tom asked if I’d like to help edit their paper, as Al was getting swamped with handling it among all his other duties. I told Tom that I’d like to talk to Al about it first, to get his thoughts on the matter. I did, and Al couldn’t have been more receptive and nice about it. We became not only work associates, but also very close friends. Al loved to golf, and we enjoyed many a round together. He particularly liked Greenfield Park, probably because it was short and suited to his game, and also because it was close to where he lived in West Allis. We’d also often go to Brewers games together. One day he called and asked if I’d like to go to a game with him and a friend of his. When I met them at Ray Jackson’s prior to going to County Stadium, I was surprised as to the identity of his pal. It was Ken Keltner, the old Cleveland Indians third baseman and the man attributed with stopping Joe DiMaggio’s 56-game hitting streak. Keltner and Rainovic were quite alike, both soft spoken, both very unobtrusive and modest. I went to several games with the two of them, and not once did I see anyone who recognized them or asked for an autograph. 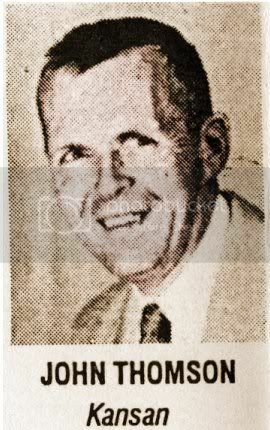 The person Al admired above all in his profession was Willard Mullin, the famed New York World Telegram sports artist. Mullin was the most famous sports cartoonist in America. His caricatures were almost always featured on the cover of Sporting News. He was responsible for creating the image of the Brooklyn Bum, as well as that big chested New York Yankee Pinstriper and the St. Louis Cardinal Swifty. If you saw a Mullin drawing and one of Rainovic’s side by side, you’d note the resemblance in style. One day, I think it was in the early ‘70s, Al invited me to drive down to Chicago and meet Mullin, who was visiting there. I couldn’t make it, and I’ve always regretted it. Mullin died a few years later. Al spent very little on himself. Whatever he made from his job with the Journal, and later from UW-M, he used to take care of his mother and father (Mary, who died in 1988, and Thomas, who died in 1979). I often witnessed this exceptional concern he had for others, even small animals and birds. One afternoon we were playing golf at Rivermoor GC near Waterford, Al sliced his drive into a wooded area. We both walked into the wooded area to find his ball. After a few minutes, Al spotted a baby bird chirping away on the ground, which we assumed had fallen from its nest or had been abandoned. Al spent some time looking for the nest, with the tiny creature in his hands, but found nothing. So Al decided to stop to find some way to help the bird. I quit, too, and the two of us went back to my car and drove into town, looking for a vet. We found one who promised to care for it until it was able to fly away on its own. Even though he paid all the bills for himself and his parents, food, utilities, taxes, everything, and did all the work around the place, he kept the telephone number of the home in his father’s name. Prior to 1952, it was listed as “Rainovich,” not “Rainovic.” I don’t know if this was a typo error by Ma Bell, or whether the family changed the name. On the occasions I visited him, I was always amused at the chaos. Rooms were filled to the ceiling with boxes of books, magazines and old newspapers. He had every edition of Sport Magazine, the Baseball Digest and Sports Illustrated. Many of the materials dated back to the 1800s. I asked him why he had so much clutter in his house. He said where else was he to keep everything? He took me out to the garage, where there was no room for his car. It, too, was filled eight feet high with boxes of books and junk. Because there were then and even today are hardly any records about the family or Al’s youth, I know little of where he went to elementary or high school, how he got started as an artist or anything about his service years. I do know he attended the American Academy of Art in Chicago, went to UW-M where he earned a degree in Sociology, had a brother who had been killed in the service, and one sister who lived in California. He was also an active member of the Baseball Writers of America, Milwaukee Chapter. I recently discovered something else that he never mentioned to me. Some of his drawings are now in the National Baseball Hall of Fame in Cooperstown. I also learned that Al had won a number of awards and commendations for his work. Often today, when I see and hear these cockamamie sports stars bragging about how wonderful they are, I think of modest Al, so opposite. Thus far, I’ve told you a bit about Al Rainovic the man. How can I not comment on his wonderful accomplishments as well? As the words “cartoon art” implies, his work combined the popularity of comic book art (also in its heyday then) with the zany world of sports. His drawings were original, lighthearted and informative, yet full of power, with a life of their own. They lit up a newspaper page in a way that an ordinary photograph could not do. Sometimes his drawings were of a single person; other times they could encompass several figures, in every pose imaginable. He blended the skills of an artist with the commentary of a columnist. Because of their visual impact, people would cut out his works and tape them on the refrigerator or on a wall, something they would never do with an ordinary story or column. Although his favorite was baseball, his works covered many sports, football, basketball, boxing, track and field, horse racing and many more. He even actually made images out of words, taking hundreds of them, and by bending the letters, making some heavier than others, and all with a marvelous ingenuity, used them to form pictures. My favorite is one he made at Christmas, 1958. It’s a huge Christmas card that filled the top half of the page. The entire picture, all the images, is made up of words, hundreds and hundreds of them. He was, of course, fortunate to be working in an era of so many great sports figures, including such Wisconsin icons as Warren Spahn, Hank Aaron, Vince Lombardi, on and on, for him to draw. During the summer of 1991, Al started having heart problems. It got so bad that he was hospitalized for a time at the Veteran’s Hospital in Wood. I visited him several times, the last one of which he told me they were sending him home. I assumed he was getting better. This was not so. I still remember the night he died. It was in January, and as always in Wisconsin, it was freezing outside. My wife and I had gone to bed around 11 p.m. Later, the phone rang shocking me awake at about 2 in the morning. The caller identified himself as a police officer from the city of West Allis. This doubly shocked me. Getting a call from the police in the middle of the night would frighten anyone, and in this case, we had a daughter living in West Allis, which made it worse. He then said he was at the home of Al Rainovic, and he was dead, apparently of natural causes, and that there was a note on the table next to the bed saying that if he died, that I should be notified. It also said that all of his possessions, except the home, which had been willed to the hospital, were to go to me. I got up and went over there. I thought about the sister out in California who hadn’t been mentioned in Al’s note. I appreciated the fact that Al thought enough of me to will me all of his belongings, but I felt morally that his sister had the right to them. So I called her. Apparently, they were somewhat estranged. She said she didn’t want anything to be sent to her, but asked me to sell everything and send a check instead. And although my wife and I sold all his thousands and thousands of sport books, magazines and materials, I did not sell his original drawings. Instead, I tried to find a home for them. I first tried the West Allis Library, and they declined, and then tried the Milwaukee Public Library, and they, too said they had no use for them. I eventually tried the UW-Milwaukee Library, and they accepted them. They are there now, in the Library’s archives, and are available for public viewing. They are the sole legacy of a very talented, kind and gentle man. ------------------------Highland Memorial Park Cemetery, New Berlin, Wisconsin.--------------------------------------------------------------------------------------1947 Milwaukee State Teachers College yearbook. Father: James M., born Allegheny City, PA, August 21, 1844, died June 20, 1909; Mother: Ellen Porter Campbell (Nellie), born November, 1844 in Ohio; Father James married Mother Ellen September 29, 1867; Wife: Hilda Schuck, born PA, April 15, 1891, died May, 1976, Allegheny, PA; William and Hilda married around 1921; Sister: Emma M., born PA, November, 1877; Sister: Nellie, born PA, August, 1880; Brother: Robert, born PA, February, 1890. His father had been a railroad conductor. 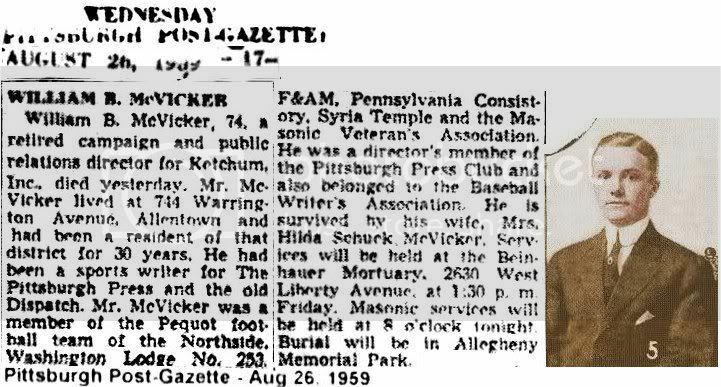 Pittsburgh Post Gazette obituary, August 26, 1959, pp. 17. Died: February 11, 1914, Philadelphia, PA, age 63,---buried Philadelphia, PA, February 14, 1914. Philadelphia Item, baseball editor, ?April 15, 1877? - May, 1890; ? - August 25, 1894. While still an editor of the Phil. Item, traveled to Chicago to supervise the Alba Heywood Comedy Company, August 25, 1894. On January 21, 1900, he was Manager of the Grand Fraternity of the Philadelphia Press Bureau. Father: Samuel L., born New York; Mother: Ellen, born New Jersey; Wife: Myra Goodwin, died October 15?, 1892, New York. She was a well-known actress. They may have married in Philadelphia, PA, 1889. Died: April 25, 1930, Brooklyn, NY, age 78,---d. Kings County Hospital, after a short illness. Father: Andrew Brown Rankin IV: Born: October 9, 1821 Greencastle, PA, d. October 3, 1890 Long Island, NY. Inventor, Editor, Lawyer; Mother: Elizabeth, born Pennsylvania, around 1830; Wife, Annie, born Brooklyn, September, 1861; Had 2 daughters, Elizabeth (Betty), born in Brooklyn around 1895, and Margaret, born Brooklyn around 1901. Son: Andrew B., born June, 1889; Son: Herbert, born New York, June, 1892; Daughter: Elizabeth, born New York, August, 1894; she was business manager of Women's Day from 1939 to 1959 if you want exact dates); Daughter: Marguerite, born 1900. 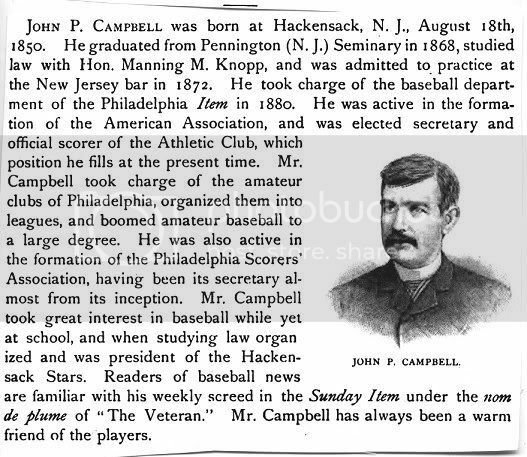 Started his baseball writing on New York Sunday Mercury, summer, 1875, & New York Herald, 1876-89, He served as official scorer for the New York Metropolitans, 1880-83, and for the Giants, 1883-89. 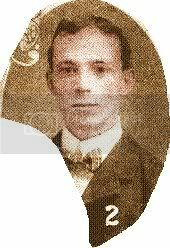 His brother was very well-known in baseball circles, William M. Rankin, who died March 29, 1913. Was a newspaper reporter in 1920, according to 1920 US census. Andrew Brown Rankin, V was nick named "Jun" for Junior. He was a sports writer and editor for the New York Herald and the New York World during the turning of the other century. He loved team sports, world series, cigars, and boxing. He traveled with all of the teams. Jun's daughter followed in his steps by becoming business manager of "Women's Day" Magazine from the 1930's-1950's. After writing for the Herald and Mercury, he wrote on golf and boxing for the Brooklyn Daily Eagle (1894 to 1916ish, and New York World (1895 to 1930). He worked until death for the New York World. His children were: Andrew (1889), Herbert (1892), Elizabeth (1894; she was business manager of Women's Day from 1939 to 1959 if you want exact dates) and Marguerite (1900). --------------------------------------------------------------------------------------------------------appeared in 1889 book.--------------------Brooklyn Eagle obituary, April 26, 1930, pp. 24. Died: October 27, 1951, North Quincy, MA, age 85,---d. at Quincy Hospital (MA), after a brief illness. 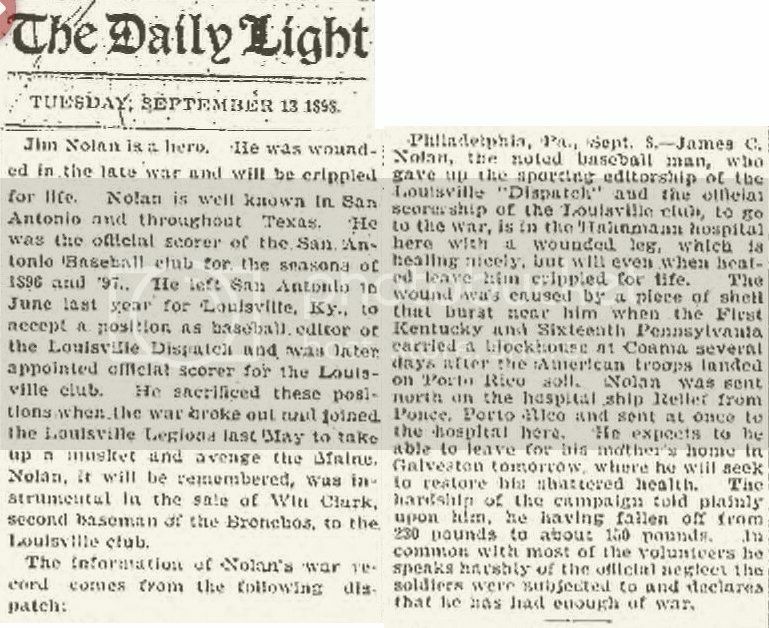 Baltimore News, sports writer/editor, 1892 - September 3, 1906? Official scorer for Baltimore Eastern League team. 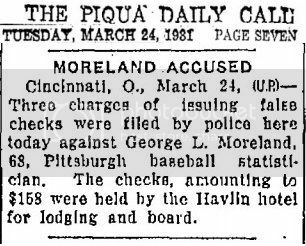 Worked for George Moreland in Pittsburgh, August 5, 1911 - December 30, 1911. 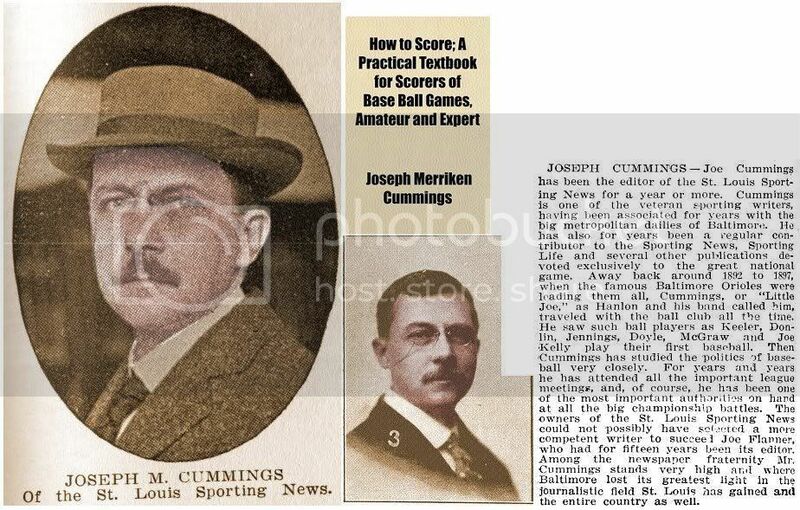 Was appointed secretary of the Texas League, December 30, 1911, succeeding Brice Hoskins, of St. Louis. Lived in Quincy, MA, 1921? - October 27, 1951; tried insurance business in 1925 in Boston. Wife 2: Alice D. Fitch, born Connecticut, July, 1891; Daughter: Ruth M., born Jefferson City, MO, October 2, 1916; Ruth married Michael Gerard Crowley around 1947. Ruth was a graduate of Quincy (Mass.) High School and Simmons College, class of 1938. She died June 25, 2008 at The Gables in Rutland, VT. Her name at that time was Ruth C. St. Onge. Joe married Alice around 1912. "It was a great pleasure to us to renew acquaintance at Quincy Saturday with Joe Cummings, an old Baltimore sporting writer at the time we visited his city in the 90's and saw Boston and Baltimore play many great and exciting series, especially that of '97, when the "Royal Rooters" came into existence. Mr. and Mrs. Joseph M. Cummings of North Quincy announce the engagement of their daughter, Ruth M. To Michael Gerard Crowley, son of the late Mr. and Mrs. Jerome Crowley of Medford. Miss Cummings is a graduate of Simmons College, and her fiance, recently discharged from the Army Air Force, served for 3.5 years in the European theatre. -----------------------------------------------------------------------------------------------------------------------------------------Patriot Ledger obituary (Quincy, MA), October 29, 1951, pp. 7. Moved to Baltimore, MD around 1925. Specialized in bowling sports coverage. ---------------------------Baltimore Evening Sun obituary, July 10, 1985, pp. G7. Pittsburgh Gazette-Times, sports editor, 1913? - 1915. In 1914, he became blind as early as June 27, 1914. 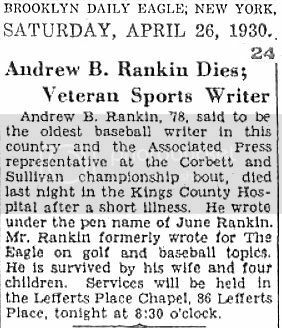 He was the traveling correspondent for the Pittsburgh Gazette-Times, and traveled with the Pittsburgh Pirates. He started to have trouble with his eyes around May, 1914, and his sight steadily declined through September until by October, he was completely blind. Father: Andrew H., born Sweden, March, 1860, died July 1, 1913, Norwalk, OH, emigrated to US, 1881; Mother: Anna Stomberg, born Sweden, November, 1859, emigrated to US, 1880, died May 28, 1937; Wife: Eva J. Thompson, born Pennsylvania, 1887? 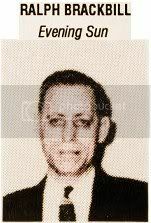 ; Son: James Andrew, born Pennsylvania, January 25, 1909, died October, 1988, Pittsburgh, PA; Jim married Eva around 1908. Andrew married Anna around 1885. Pittsuburgh Press' obituary, January 16, 1917.--------------------------------Sporting Life obituary, January 27, 1917, pp. 3. Sporting News' obituary, January 25, 1917, pp. 5.-------------------------------------------------------------------------------------------------------Sporting Life, June 27, 1914, pp. 2. Died: July 16, 1911, (Beachview) Pittsburgh, PA, age 45,---d. ill since February, 2011 - rheumatics. Pittsburgh Times, staff, 1890 - ? Father: William, born Pennsylvania, around 1842; Mother: Mary Ellen, born Pennsylvania, around 1847; Wife: Ida L. Rankin, born Pennsylvania, October, 1864; Daughter: Florence, born Pennsylvania, December 1893; Frank married Ida August 11, 1892 in Allegheny, PA. She was from Essene, PA. Frank got sick around February, 1911, and lost 70 lbs. He died by July 20, 1911. 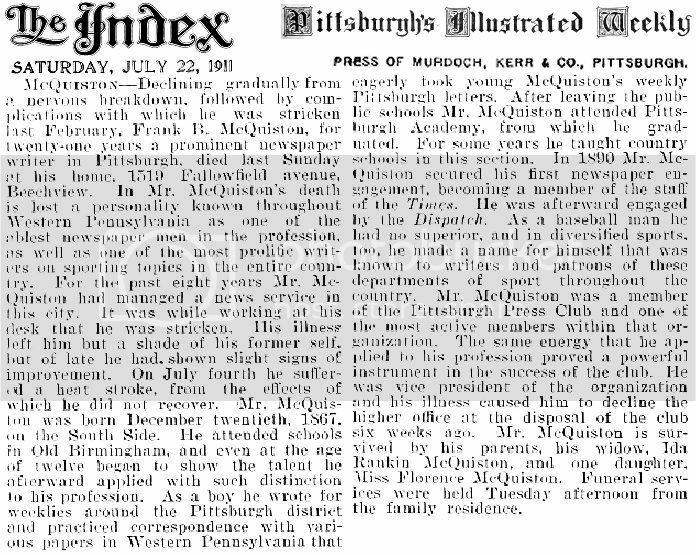 Pittsburgh's The Index obituary, July 22, 1911. Sponsored Louisville, KY 'horse and buggy' league. Printer/ newspaperman in Galveston, TX. 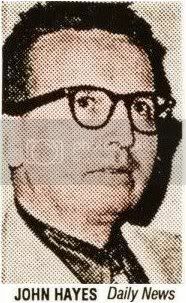 He was the sports editor of the Louisville Dispatch and the scorer for the local team. 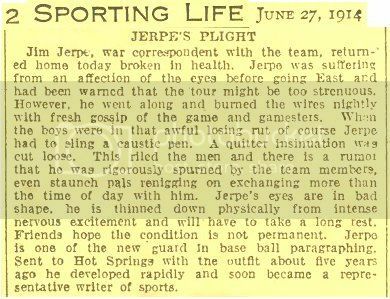 In June, 1898, he enlisted in the US Army, and left newspaper sports work after he came out. Finally! At last! 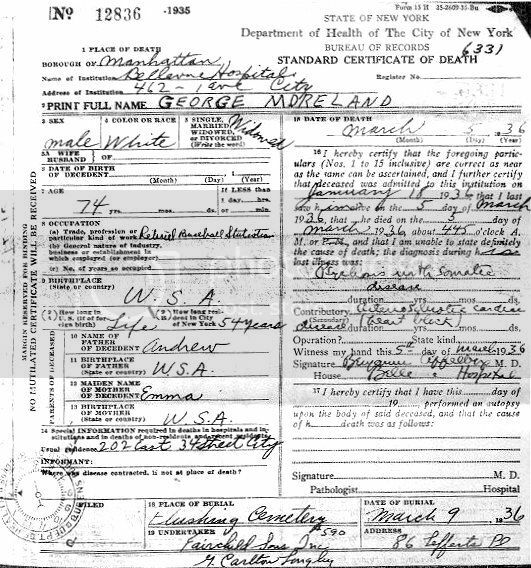 I found the death date of George Leonard Moreland, my oldest research subject! The last founding member of the BBWAA of 1908 that I hadn't found! Been searching for him since the 1980's, ever since I began my sports writers database. Managed Canton in Tri-State League (1890). Was the Sporting Life correspondent from Canton, OH, since 1889. Organized Inter-State minor League (fall, 1894). Original member BWAA (1908), representing Pittsburgh. Wrote/Published baseball history, 'Balldom', 1914. Lived Cleveland in October 5, 1930. Father: Andrew, born around 1838, Virginia. Both Andrew's parents were born in VA, he was an engineer at mill; Mother: Maria (Mariah), born around 1840, Pennsylvania. Both Maria's parents were born in VA; Sister: Margaret R, born 1865, Penn. ; Sister: Mary J., born 1863, Penn. (Information: 1870 Federal census. ); Wife 1: Lula, born July, 1872, Pennsylvania; Son: Harry: born January, 1888, PA; Daughter: Hazle: born PA, March, 1889; George and Lula married around 1888; Wife 2: Elizabeth (Lazetta) Walker (Yetta), born Maryland, July, 1879; Son: Leonard M., born Pennsylvania, 1902?. (April 10, 1910 census); George and Lazetta married December 17, 1900, in Allegheny, PA. Baseball statistician, historian. 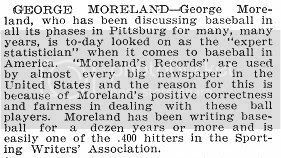 Started his own statistics bureau in Pittsburgh, the George Moreland Bureau. After his death, on March 5, 1936, it was bought up by the Elias Bureau of New York City. A resident of Steubenville, OH, Moreland bobs up as a director/investor in the 1890 Canton Tri-State League team in 1890. By 1892 he was working for a Pittsburgh newspaper and was a scout for the Pittsburgh Pirates. In 1893 he reportedly was promoted to assistant on the team and was Connie Mack's roomate on road trips. In 1895 Moreland successfully got hometown Steubenville accepted as the eighth and final team for the independent Interstate League with himself as manager. But after an 8-3 start, he shifted the franchise to Akron and walked away. It seems the ballpark was in a shallow between four hills, and fans stood on the hills rather than pay admission. "We knew this before the season opened," he said in the June 8th Sporting Life, "but thought there were enough people fair enough to put up and see a game." He partnered with the fiercely independent Al Buckenberger - the old Pittsburgh manager - to purchase the "outlaw" Wheeling (WV) club for the 1896 season, but Buckenberger jumped ship to manage the St. Louis Nationals after Wheeling earned NL protection status. Moreland survived some minor league skulduggery and stayed on as an active director. sacrifice flies should not be times at bat; in 1909 he publishes "Moreland's Baseball Records and Percentage Book"; and by June of 1910, his weekly batter and pitcher averages seem to be the most published in the nation, always "expressly by George L. Moreland." I don't have the date of the creation of the Moreland Sports Bureau, but it would seem to be early in 1910. On October 25, 1910, Moreland is elected president of the Ohio-Pennsylvania League and his photo, above, runs in next day's Cleveland Plain Dealer. He quit after one tumultuous term. He created "Playergraphs" in 1913 which was a precurser to "Leaves From A Fan's Scrapbook" and "Daguerreotypes." His statement that Larry Cheney was the winner in relief, 4/15/1913, was picked up by many newspapers later that month. He published "Balldom: The Britannica of Baseball" in 1914, and was an authority on pitcher decisions at that time. Balldom gave season-by-season won loss totals for Cy Young (508-311), Christy Mathewson, and Eddie Plank. Moreland's list of Charles Radbourne's 1884 victories - in newspapers early June, 1916 - became the style used by the Spalding Guides for their team game logs. During this decade Moreland is credited with "discovering" Cy Young while "managing" Canton in 1890, and Honus Wagner while managing Steubenville in 1895. Another story makes the rounds that as Connie Mack's roommate it was his idea to make that slapping flap on Mack's catcher's mitt to fool umpires into calling strikes on foul tips. By the end of the decade he was the team beat writer for the Washington Herald, but complained of stomach trouble and lost so much weight that he was unrecognizable. He became a teetotaler. According to the January 5, 1939, Sporting News, page 5, the Elias Sports Bureau did the official NL stats when John Heydler became NL president in 1918, and shortly thereafter bought the Moreland Sports Bureau from someone named James Jennings. A note in the 1922 Sporting News says Moreland's forwarding address was 810 US Rubber Company Building, New York City. "Baseball historian" George Moreland wrote two articles in the mid 1930's for the Sporting News, and then seems to vanish. NYC Death Certificate-----------------------------------------------------------------1910.--------Piqua Daily Call (OH), Tuesday, March 24, 1931, pp. 7. Last edited by Bill Burgess; 02-26-2014, 07:22 AM. Died: ? Still alive as of April 27, 1942. Have not found his death date. Seved w/ 76th Div. & 5th division in WWI, w/ rank of captain, 1917 - 1919. Photo/Entry in Who's Who in Major League Baseball, edited by Harold 'Speed' Johnson, 1933, pp. 501.---------------------------------Charles' July 19, 1920 passport photo. Last edited by Bill Burgess; 02-25-2014, 06:36 AM. Died: Still alive as of April 4, 1940, died by 1957. 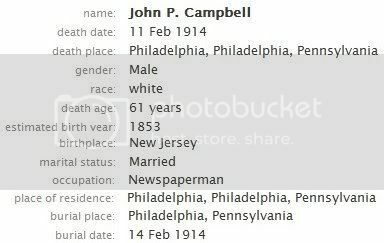 Lived in Plainfield, NJ (Union County) on April 5, 1935. Bridgeport Evening Farmer (CT), sports editor, January 1, 1921 - ? Father: George, born in England, January, 1843; Mother: Mary E. Collins, born in New Jersey, April 1850; They married August 11, 1874 in Newark, NJ; Brother: Frederick H., born New Jersey, May 26, 1878; Sister: Mabel E, born New Jersey, December, 1880; Brother: Bert C., born New Jersey, October, 1882; Brother: William James, born Plainfield, New Jersey, August 14, 1886; Brother: Walter Irving, born Plainfield, New Jersey, September 26, 1888; Brother: Clinton Fisk, born Plainfield, New Jersey, June 3, 1891; Brother: Howard C. , born Plainfield, New Jersey, December 10, 1892. First Wife: Margaret (Elizabeth) M. Page: born Pennsylvania, August, 1875; George/Margaret M. Page married February 19, 1896, in Plainfield, NJ; Son: George H., born New Jerssey, January 10, 1898, died December, 1966, Dunellen, NJ. Second Wife: Mabel Effie Cole, born New Jersey, 1886; Daughter: Esther, born New Jersey around 1914; Daughter: Thelma, born New Jersey, 1916. They were married by September 12, 1918. Died: ?August, 1986, Kansas City, KS, age 71? Kansas City Kansan (KS), sports editor, March 5, 1945? - April 26, 1977? There was a John R. Thomson who resided in Kansas City, KS, in 1993-1994. John Michael Hayes---This John Hayes may not be the same person above who wrote sports for the Philadelphia Daily News. Died: November 19, 2008, Hanover, NH, age 89,---d. of natural causes in retirement community. Wife: Mildred Louise Hicks, born December 10, 1923, died West Lebanon, NH, June 28, 1989. John and Mildred married on August 29, 1950. In a career that spanned more than forty years, beginning with radio, the movies, and then television, the name John Michael Hayes has become synonymous with quality. Having produced a body of work that resulted in two Academy Award nominations, three nominations for awards by the Writers' Guild of America, and the Screen Laurel Award, Hayes amassed not only an impressive list of credits, but a reputation for writing solidly constructed screenplays, which were prized for their unique blend of sophisticated repartee and colloquial banter. John Michael Hayes was born on May 11, 1919, in Worcester, Massachusetts. His father had been a song-and-dance performer in vaudeville before starting a family, and proudly passed on a bit of the show business in his blood to his middle child and only son. As a boy Hayes spent a good deal of time out of school from the second grade through the fifth, suffering a series of illnesses. He began his own literary education though, reading whatever books and magazines he could obtain. By the age of nine, John Michael Hayes knew that he wanted to be a writer. During the early 1930s, the Hayes family relocated a number of times, from Detroit, Michigan to State Line, New Hampshire and back to Worcester, Massachusetts, wherever the elder Hayes could get work. During this time, Hayes first tried his hand at writing, joining the staff of a school newspaper. In junior high school, he became a staff writer on The Spectator, the school newspaper, and at age 16, he wrote for the high school yearbook as well as editing a Boy Scout weekly, The Eagle Trail. His work brought him to the attention of Worcester's Evening Gazette, and Hayes began penning articles about Boy Scout activities for the paper. Later stints with the Worcester Telegram and a profile in The Christian Science Monitor led to a job with the Associated Press. Working diligently, Hayes managed to amass enough money to attend Massachusetts State College. Eventually Hayes became interested in radio and put his editing and feature writing skills to work at small radio stations in northern Massachusetts, where he earned enough money to enroll at Massachusetts State College-later the University of Massachusetts-in Amherst. where he majored in English and continued pursuing his interest in radio. Following an internship with a radio station in Ohio, Hayes accepted a position as editor of daytime serials for Proctor and Gamble. 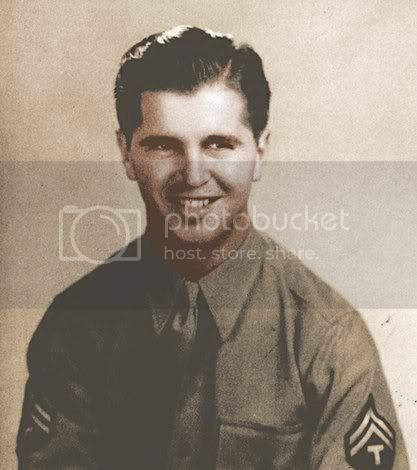 When he was drafted into the Army during World War II, Hayes put the years spent learning his father's vaudeville routines to work, writing and performing in stage shows to entertain the troops. After the war Hayes embarked on a career as a radio writer in Hollywood, where he quickly found work writing for a variety of CBS shows such as The Whistler and Twelve Players. His stay in Hollywood was cut short though, when he was stricken with a severe case of rheumatoid arthritis. After nearly eighteen months in a veterans hospital, Hayes hitchhiked from Massachusetts to California where he was put back to work at CBS to write a new show for Lucielle Ball called My Favorite Husband. He never looked back. Specializing in comedy and suspense, Hayes turned out expert scripts for many popular series, including Amos and Andy, Yours Truly Johnny Dollar, Alias Jane Doe, Suspense and Richard Diamond, Private Detective. Among the most successful of Hayes's radio shows was The Adventures of Sam Spade, which truly showed off his flare for wisecracking comedy, as well as his nimble plotting abilities. Within three years Hayes was a top man in his field, with over 1,500 radio scripts to his credit. In a medium that relied on the spoken word, Hayes had become an expert in creating crisp, sophisticated dialogue. It was during this period that Hayes met and courted Mildred Louise Hicks, a high-style fashion model, whose professional name was Mel Lawrence and whose beauty rivaled that of the most stunning leading ladies who would later appear in his films. They were married on August 29, 1950. In 1951, Hayes caught the attention of Universal Pictures and was offered an opportunity to write for the movies. His first assignment was a World War II action film called Red Ball Express, which starred Jeff Chandler and Sidney Poitier. Hayes's next assignment at Universal was based on an original story of his own, which ultimately became Thunder Bay. It was his first of three scripts for James Stewart. 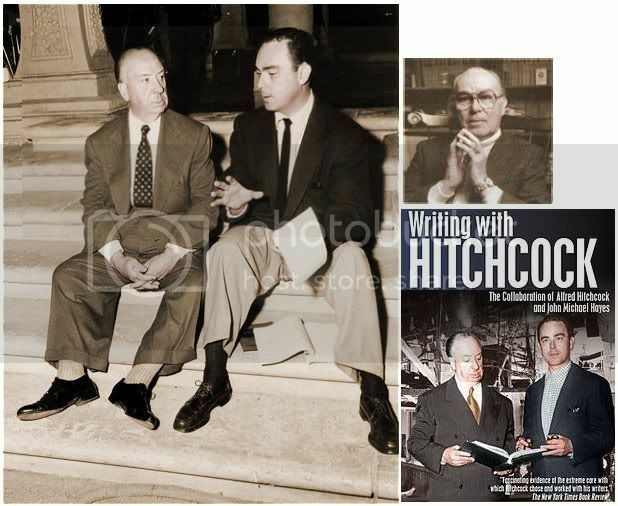 The move to MCA paid off, when in the spring of 1953 Hayes was handpicked by Alfred Hitchcock to adapt Cornell Woolrich's short story, Rear Window. The collaboration would be an important turning point for both. For Hitchcock, it marked the beginning of his most successful period, critically and commercially. For Hayes, it lifted him into the world of A-list directors, stars, and budgets, and began his long association with Paramount Pictures. Despite Hitchcock's reputation as a martinet, Hayes was given tremendous creative freedom, and together they created one of the most enduring works of the cinema. Both he and Hitchcock earned Academy Award nominations for their work on Rear Window. Neither went home with Oscars, but Hayes did receive an Edgar award from the Mystery Writers of America for his screenplay. Their styles and temperaments meshed and Hayes went on to write Hitchcock's next three films-To Catch a Thief, The Trouble with Harry, and The Man Who Knew Too Much. But when Hayes successfully challenged Hitchcock over a credit dispute, the relationship came to an abrupt end. Following his break with Hitchcock, Hayes was offered the job of adapting what was to become a scandalous bestseller, Grace Metalious's Peyton Place. Considered unfilmmable, Hayes tastefully reworked the novel's sensational elements into a sensitive drama that was a hit with audiences. Peyton Place became the top-grossing film of the year, and earned seven Academy Award nominations, including one for best picture, and one for Hayes's screenplay. Adaptations of successful plays followed, including Thornton Wilder's The Matchmaker and But Not for Me, based on Samson Raphaelson's Accent on Youth. Hayes also worked uncredited on the Hecht-Hill-Lancaster film of Terence Rattigan's Separate Tables and on the Perlberg-Seaton film of Garson Kanin's The Rat Race. A number of popular novels Hayes adapted were not filmed. As the 1950s drew to a close, Hayes grew disenchanted with Hollywood. The disappointment inherent in writing projects that were shelved or canceled; the pressures of working at a studio; the constant prodding by his agent that he should try his hand at directing; and prolonged negotiations between the WGA and producers over residuals helped Hayes make the decision to move with Mel and their children-Rochelle and Garrett-to Maine, where their youngest children, Meredyth and Corey, were born. In spite of his being three thousand miles from Hollywood, offers continued to pour in. Hayes script-doctored an Elizabeth Taylor vehicle Butterfield 8 for MGM and followed with adaptations of Lillian Hellman's The Children's Hour, and Enid Bagnold's The Chalk Garden. In 1962 Hayes began a long association with Joseph E. Levine. Having achieved notoriety for his company Embassy Pictures, through the distribution of foreign-made exploitation films, Levine decided to move into production and purchased the rights to Harold Robbins's steamy bestseller The Carpetbaggers. Hayes's adaptation was a tremendous financial success and was quickly followed by another Levine production of a Robbins novel, Where Love Has Gone. With the promise of greater control and financial compensation, Hayes entered a long-term contract with Levine which eventually led to his appointment as vice president in charge of literary properties for Embassy. What Hayes didn't know was that most of Levine's plans would never come to fruition, and many of the scripts he wrote for the company remained unproduced. When Levine turned his attention to a bio-pic of Jean Harlow, he sacrificed quality for speed in a frantic rush to beat another Harlow production to the theaters. He called on Hayes to completely rewrite the script as it was being shot. After Harlow, Hayes took on another rewriting assignment, the Sophia Loren vehicle Judith. Hayes's script Nevada Smith, based on the character from The Carpetbaggers, went into production in 1965 and would remain his last feature credit for nearly thirty years. (Hayes did write the cult hit Walking Tall, but opted not to accept screen credit.) In the 1970s, while still serving out his contract with Levine's Embassy Pictures, Hayes turned to writing and producing for television, including the TV movie, Winter Kill, and the pilot for a series based on Nevada Smith. Hayes continued writing into the 1980s, scripting Pancho Barnes, a TV movie about the colorful life of the aviatrix, and coming close to production on a number of other projects. One of these projects, Iron Will, finally went before the cameras in the early 1990s. After nearly thirty years, Hayes was once again in the spotlight. In recent years John Michael Hayes had been a professor of film studies and screenwriting at Dartmouth College in New Hampshire, where he and Mel relocated in 1988. In addition, Hayes lectured around the country at film festivals and universities about his career. He officially retired in 2000. In 2004, the Writers' Guild of America honored John Michael Hayes with its highest honor, the Screen Laurel Award. On November 19, 2008, John Michael Hayes passed away in Hanover, New Hampshire at the age of 89. All times are GMT-8. This page was generated at 06:10 AM.